Trevor Paglen is a thorn in Uncle Sam’s side. 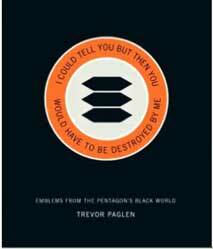 Known for snapping telephoto candids of CIA planes and Area 51, the artist also gathers “patch intel,” which he’s collected in this provocative book (main title: “I Could Tell You But Then You Would Have To Be Destroyed By Me”). The fruit of several Freedom of Information Act requests, Paglen’s book proves that classified black opps concoct esoteric team insignias just like other military divisions. In this case, 75 de-classified patches with colorful eagles, skulls, swords, dragons, wizards and even aliens (!). Surveying iconography that was never intended for your eyes is both exhilarating and frustrating. Decoding them is often impossible, which only leads back to the obvious: How else are our tax dollars being spent in secret? Unlike grainy, questionable YouTube clips of UFOs, Big Foot and Loch Ness, in this case, seeing guarantees believing. "Triangulum" is reported to designate a variation on the RS6b SENIOR SPEAR sensor system built into some versions of the U-2 spy plane. The Triangulum system allegedly uses twelve antennas along the aircrafts' fuselage and an antenna on each wing. 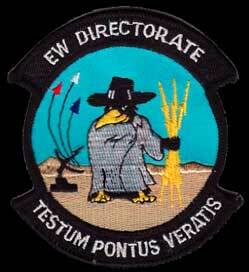 The Electronic Warfare Directorate is the primary EW test organization at Edwards Air Force Base. Electronic warfare consists of defensive and offensive avionics and includes the so-called "Infowar" revolution in military technologies Commenting on information-warfare, Air Force Chief of Staff John Jumper told Aviation Week and Space Technology that "we're rapidly approaching the time when you can tell an SA-10's [surface-to-air missile system] radar that it's a Maytag washer and put it in the rinse cycle instead of the firing cycle." The first letter of each word in the phrase "Nitwits Rubes and Oafs" spells out the agency responsible for this patch: the NRO, the National Reconnaissance Office. Furthermore, "OAFS" could be an acronym for Onizuka Air Force Station, an Air Force Space Operations base in Sunnyvale, California colloquially known as the Blue Cube. It is unclear what the collection of three white stars and one black star represent, although they may be related to the collection of four triangles from the NRO's "We Own the Night" patch...The phrase "Setec Astronomy" figures prominently in the 1992 film "Sneakers," in which the phrase is an anagram for "Too Many Secrets." 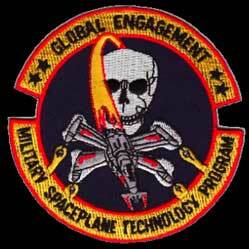 This patch is from the Phillips Laboratory Military Spaceplane Technology (MiST) Program Office at Kirtland Air Force Base in New Mexico. 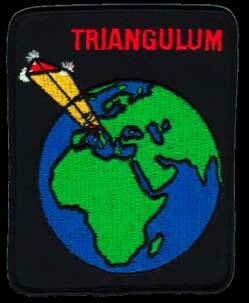 The original version of the patch sported an "X-Wing" fighter from the Star Wars movies. When lawyers representing George Lucas delivered the unit a cease and desist order, the aircraft on the patch was changed into the shape that appears in this patch. The letters ATOP depicted on this patch stand for "Advanced Technology Observation Platform," whose first flight was on October 28, 1990. The Latin phrase "Furtim Vigilans" translates as "Vigilance Through Stealth." No further information about this patch or program is known. Officials at the Flight Test Center at Edwards Air Force Base claim that the program depicted "isn't one of ours." 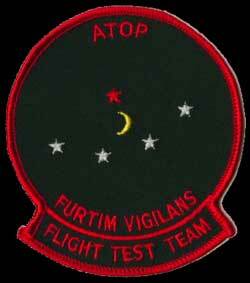 This was the original version of a patch commemorating a flight test series involving a B-2 "Spirit" stealth bomber. The lower case Greek sigma symbol on the test shape's outline signifies the unknown RCS value. The number "509" refers to the 509th Bomb Wing, which operates the United States' stealth bombers from Whiteman Air Force Base in Missouri. 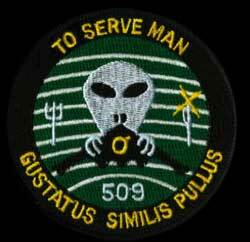 The alien is a reference to the 509th's lineage. In 1947, the 509th was based at Roswell, New Mexico, home of the infamous "Roswell incident," which ensued after the 509th's commander, Col. William Blanchard, issued a press release whose headline stated "Roswell Army Airfield Captures Flying Saucer on Ranch in Roswell Region." The dog-Latin phrase "Gustasus Similis Pullus" translates as "Tastes Like Chicken." Note the knife and fork. This patch was eventually modified when Air Force officials insisted that the phrase "Classified Flight Test" could not appear on the design. In an updated version of the patch, "Classified Flight Test" has been replaced with the words "To Serve Man," referencing a classic episode of "The Twilight Zone."